OSWEGO, NY – Oswego Speedway’s Novelis Supermodifieds will return to the ‘Steel Palace’ this weekend for the always exciting Supermodified Twin 35s presented by Burke’s Do-It-Best Home Centers and A&P Auto Parts along with the first driver autograph session of the season on June 20. “The Hustler” Michael Barnes will look to return to Oswego Speedway’s Turning Stone Resort Casino Victory Lane in Twin 35 action on Saturday night. Saturday night’s jam packed schedule, which includes two 35-lap Novelis Supermodified features and a 30-lap main for the Pathfinder Bank SBS, will see the popular driver autograph session at 5 p.m. The driver autograph session will follow the completion of hot laps at 5 p.m., as all fans are welcomed to join the Speedway’s competitors on the track’s front straight away to meet their favorite driver and get an autograph. 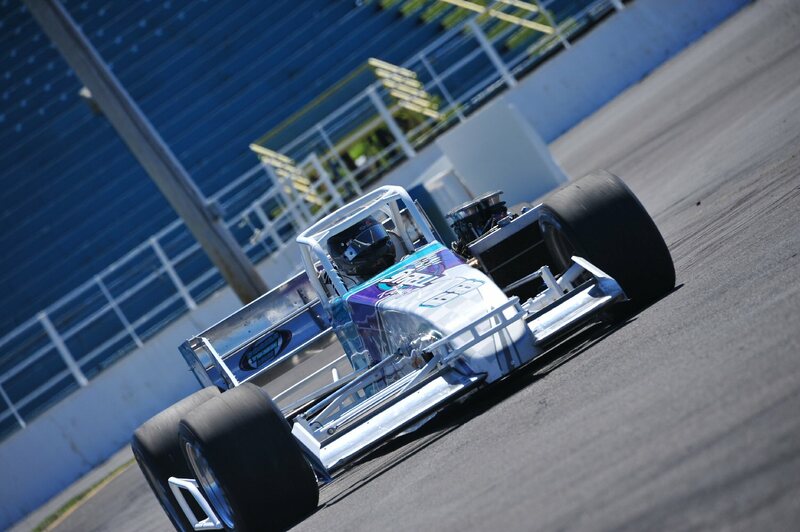 Novelis Supermodified heat racing will start the night’s racing action following the autograph session at 6:30 p.m.
A tradition that started in 1976, Twin 35 Supermodified features were an integral part of Oswego Speedway’s yearly racing program for more than 20 years. Bentley Warren (17), Doug Heveron (12), Eddie Bellinger Jr. (12) and Steve Gioia Jr. (10) join Shampine as the only drivers to have double digit victories in Twin events. In 2001 the Twins returned, with 30 laps being the distance, and were contended off and on up until the 2011 racing season with Dave McKnight and Bob Bond claiming victories. In 2014 the historical Twin 35 format returned for the first time since 2011 with Randy Ritskes and Michael Barnes driving to Turning Stone Resort Casino Victory Lane. Since 1971 Fred Graves, Gary Albritain, Brian Herb, Mike McLaughlin, Dean Hoag, Howard Page, Greg Furlong, Otto Sitterly, Jeff Holbrook, Gary Morton, Jerry Curran and Pat Lavery have all won their first, and in some cases only, Supermodified feature during a Twin event. With that in mind, attention will turn to drivers such as Michael Muldoon, Tim Devendorf, Brandon Bellinger, Jeff Abold, Stephen Gioia, Keith Shampine, Dan Connors Jr. and others looking for that elusive first feature victory on Saturday night.